The Vrućica Beach, next to the Vrbas River, which is located in the village of Srpske Toplice, is a top spring and summer destination for many Banja Luka residents as well as foreign tourists. The beach – where warm spring water is mixed with cold Vrbas River water – is located approximately five kilometers from the center of Banja Luka in the foothills of the Banj Hill, right at the Vrbas Valley exit. The Srpske Toplice settlement represents the oldest neighborhood of its kind in Bosnia and Herzegovina. Many people today believe that the city of Banja Luka (literally meaning “Spa Port” or “Spa Harbor”) received its name due to this location’s many natural springs. 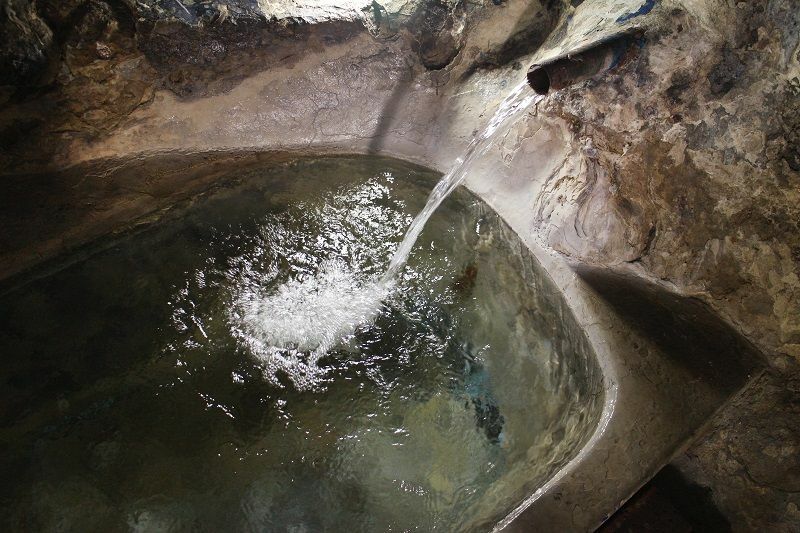 There are a number of springs with warm mineral water in this settlement, which many people say will cure rheumatism, cardiac problems, and several skin diseases. Residents even use one of the springs for drinking water. 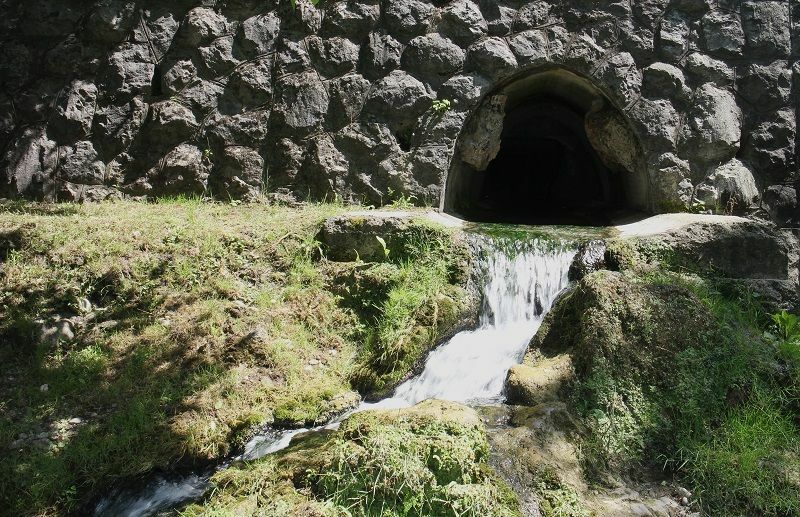 Several springs located in Vrućica Beach include: Direklija, Queen’s Spa or “Queen Ilidža” – named after a legend speaking of queens bathing in the spring – as well as the healing “Šugavica” spring. 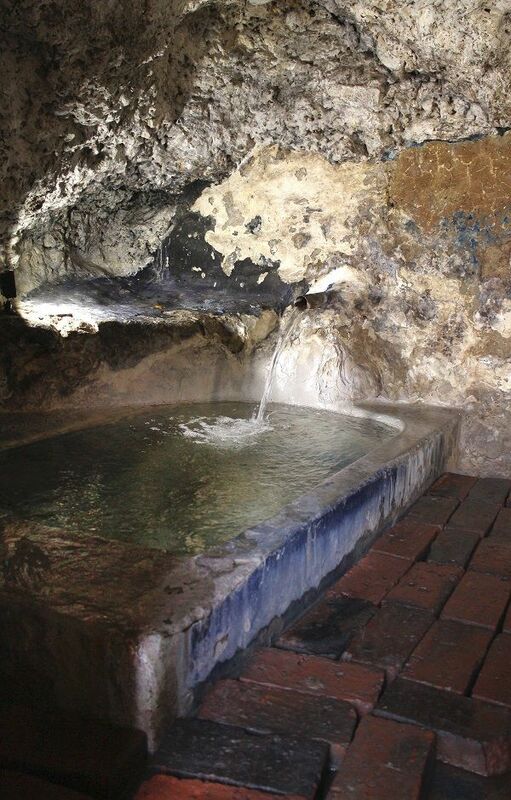 All of the natural springs have the status of National Monuments in B&H. 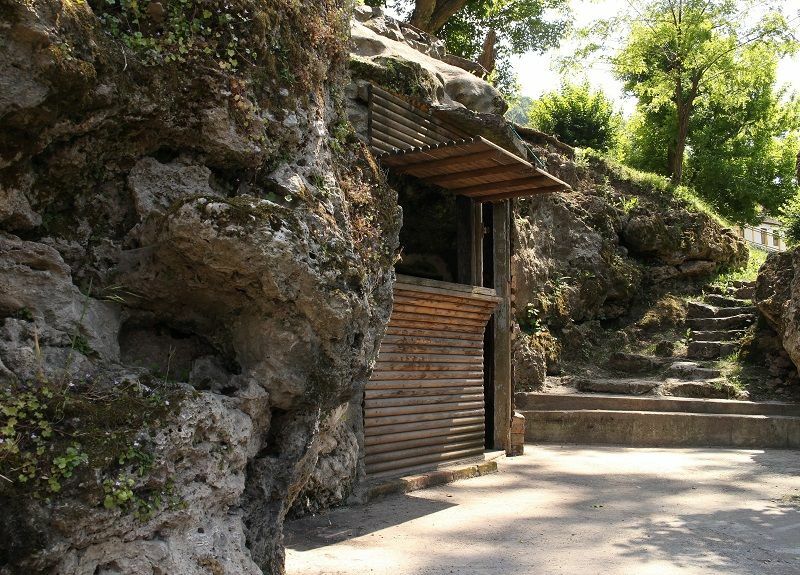 According to Dragoslav Kantar, president of the Association of Citizens Eco-Culture, the area around the Vrućica Beach is regulated as a botanical garden, since the natural springs are the habitat of the maidenhair (Adiantum Capillus Veneris), who survived the Ice Age and is very rare throughout Europe. 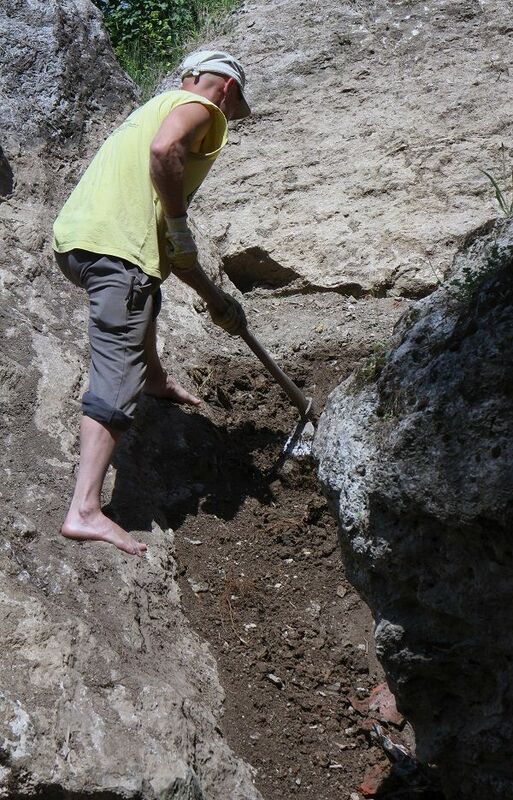 “The Direklija Spring was named after two stone pillars, which are dated back to the times of the Roman Empire. One of the two is broken, and the other one is located in Kastel. That specific pillar is not under any protection, although it is still represented as a witness as to how it was built and how it received its name,” says Kantar. 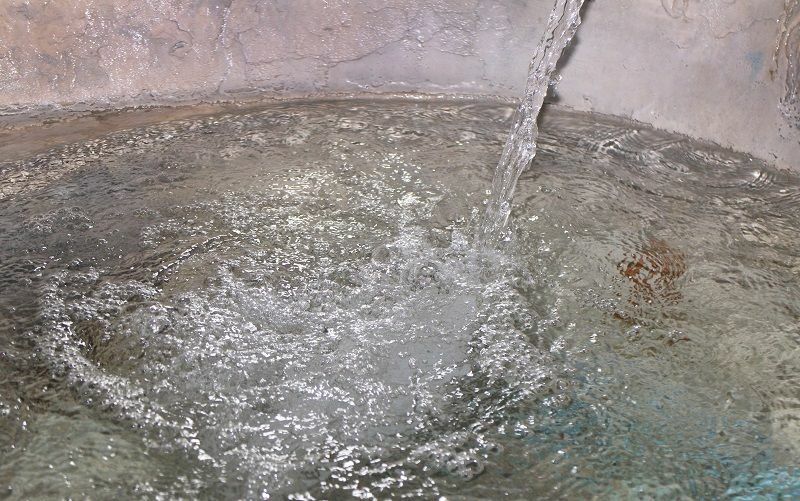 The “Direklija” spring represents a real tourist attraction, and it is believed that this spring has been used by the Romans. 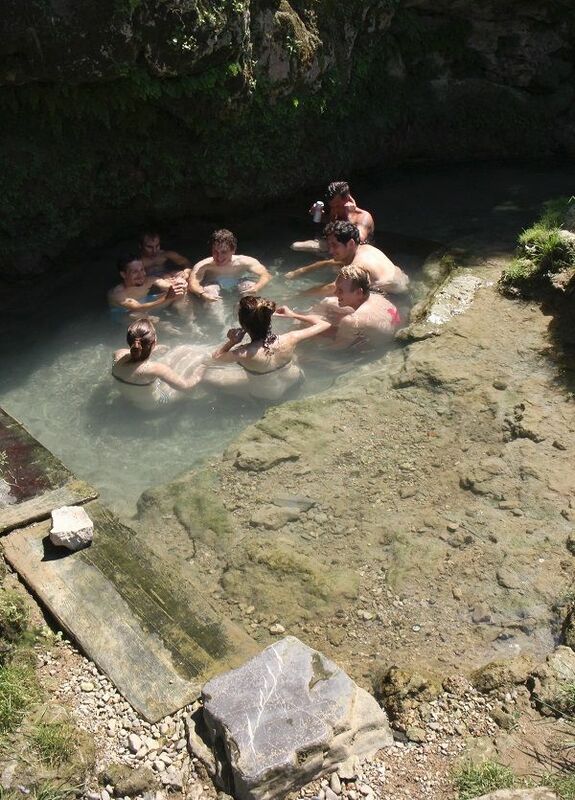 Other springs are interesting to visitors of all ages as well, and while younger people come looking for some fun, older people enjoy the healing properties of the hot water from the springs. 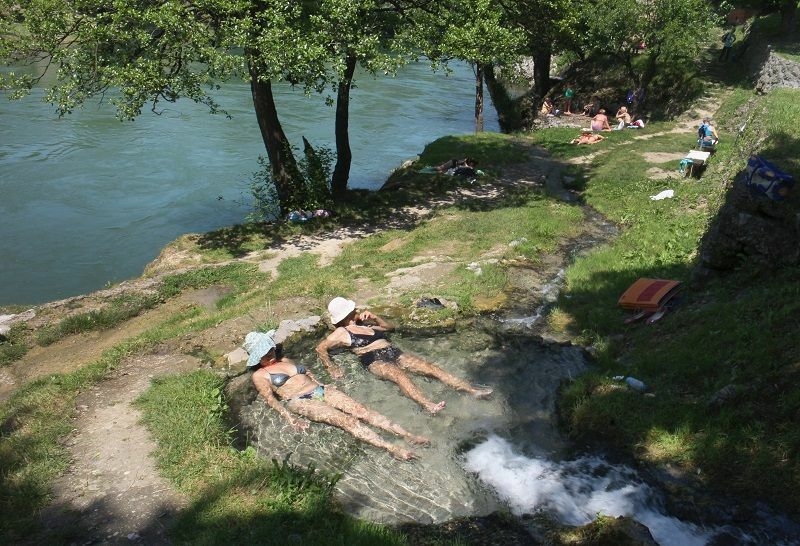 Many of these thermal springs are used during the winter as well, and even the Vrućica Beach is visited during the night.